This morning Huawei is taking the wraps off of their latest generation flagship smartphone, the Mate 10 series. Powered by subsidiary HiSilicon’s Kirin 970 SoC, the new phones are a mix of something old and something new for the company. 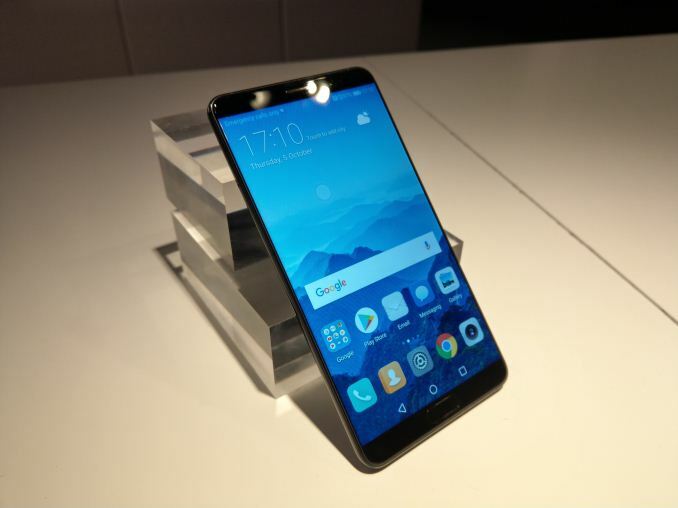 With a design that is not simply a carbon copy of the earlier Mate phones but is still very much a traditional smartphone, Huawei’s latest flagships are a mix of old and new; tried and true paired with the cutting edge. 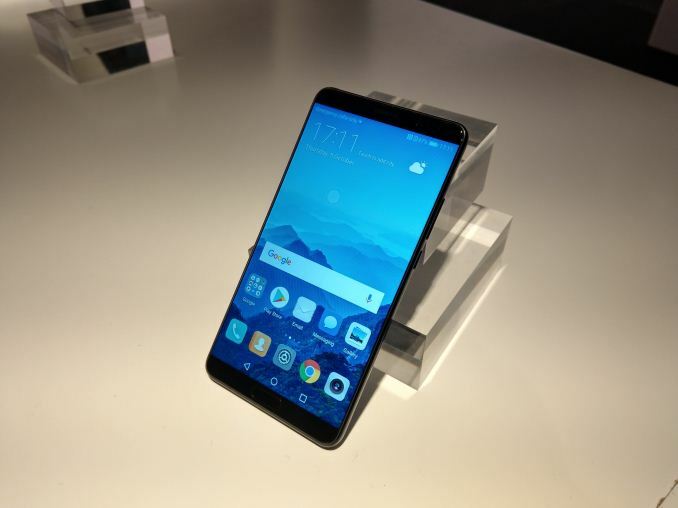 It’s an interesting balancing act, and one that, if consumers agree, will further bolster Huawei’s success in the international smartphone market while at the same time pushing a nascent technology to the forefront of the mobile industry. That technology is, of course, artificial intelligence, which has become the buzzword for the latter half of this decade in the world of technology. Long a lofty goal of computer science – if not perhaps its holy grail – recent advancements in the field have opened the door to new methods and new applications. And while this era of neural networking-driven AI is not by any means producing devices that actually think like a human, even this weak form of AI is, in the right use cases, far more capable than anything that has come before it. Of course, the usefulness of having neural networking hardware is only as good as the appications that run on it, and in these still-early days of the field, the industry as a whole is trying to figure out what those applications should be. Having a self-driving car or a smart NPC in a video game makes sense, but applying it to a smartphone is confusing at first. Huawei announced that its new Kirin 970 chipset had dedicated silicon for running artificial intelligence networks, and the Mate 10 series is going to be the first device running this chip. Today, they announced the smartphones and unveiled the features. 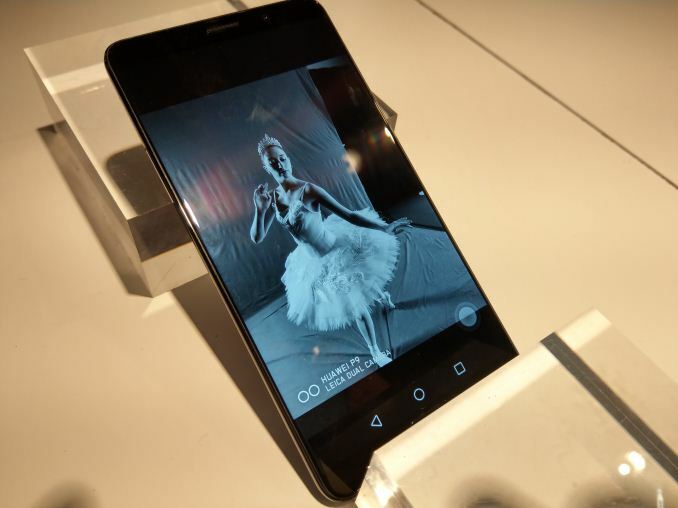 The devices themselves are part of Huawei’s yearly cadence with the Mate series. Every year at around this time we see a new smartphone SoC and the first two devices that power it: the Mate and the Mate Pro. Both the hardware and the design are meant to be iterative – Huawei’s HiSilicon division takes the ‘best’ IP available from ARM to develop the processor, and the design team takes cues from the industry as to what will be the next statement in aesthetics. One of the big trends for 2017 (and moving into 2018) is full-screen display technology. In previous years, manufacturers have often quoted ‘screen-to-body’ ratios in order to show how much of the face of the device is taken up by screen, but it is this year that has started to push the boundaries on this aspect. Arguably devices such as Xiaomi’s MI MIX range were instrumental in pushing this, but the upside is more screen for everyone or the same sized screen in smaller devices. Huawei is pushing the screen with its ‘FullView Display’ (the marketing name for it). The Mate 10 comes with a 5.9-inch FullView display, using a glass front for the 2560x1440 LCD display, coming in at 499 pixels per inch. Huawei is quoting panels capable of a 1500:1 contrast ratio, while the color space is listed at a less-than-useful metric of 96% NTSC. The Mate 10 Pro (and Porsche Design) are slightly bigger with their 6.0-inch displays, although this time it comes with an OLED screen at 2160x1080 resolution. This is a lower pixel density (402 ppi) and resolution compared to the regular Mate 10, but is rated at 112% NTSC and 7000:1 contrast. The smaller resolution and use of OLED might also assist in battery life as well, and overall the unit is lighter than the Mate 10. Neither device goes to the extreme with the display completely covering the front, as it requires certain methods of moving the internals such as the camera (on the bottom on the MI MIX, on the notch on the iPhone X) as well as how to implement fingerprint technology. One of the biggest design deviations for this generation of Mate devices is that the Mate 10 regular edition now has the fingerprint sensor on the front of the phone, rather than the rear. In my eyes this is a pretty big jump, given that the Mate S, the Mate 8 and the Mate 9 regular editions all had fingerprint sensors on the rear. The Mate 10 Pro, by contrast, does keep the sensor on the rear. There is no difference between each of the devices for the SoC inside, with each device getting the full-fat Kirin 970. This means four ARM Cortex A73 cores at 2.36 GHz and four ARM Cortex A53 cores at 1.8 GHz. These are paired with Mali G72 MP12 graphics (at an unstated frequency), the i7 sensor processor, and Huawei’s new Neural Processing Unit, or NPU (more on this later). All of the units will use Huawei’s latest Category 18 integrated LTE modem, capable of 1.2 Gbps download using 4x4 MIMO on 3-carrier aggregation with 256-QAM. Each device supports dual-SIM LTE concurrently (along with dual-SIM VoLTE), although this limits downloads to Category 16. Uploads are at Category 13. Only one option for memory and storage is available with the Mate 10, with Huawei settling on 4GB of LPDDR4X DRAM and 64GB of NAND for storage, with microSD card support further augmenting that, though by taking one of the SIM slots. For some reason it says limited to 256GB, though I will ask about the new 400GB microSD cards. The Mate 10 Pro will be available in 4GB/64GB and 6GB/128GB versions, although the latter will be dependent on region – we are told around 20 countries are on the initial list. The Mate 10 Porsche Design model will be only available in a 6GB/256GB configuration, similar to last year. All the devices come with the typical dual-band 802.11ac Wi-Fi support, extending to BT4.2, and will include NFC. All three devices use USB Type-C, but only the base model has a headphone jack. Despite the Mate 10 Pro/PD being physically bigger than the standard Mate 10, all three devices use a 4000 mAh battery which is TUV certified for SuperCharge. That in itself is fairly large for a modern flagship, which is perhaps a benefit of only a few smartphone companies now competing in the ‘under 7mm’ metric for thickness. The Huawei devices come in at 8.2mm and 7.9mm for that. 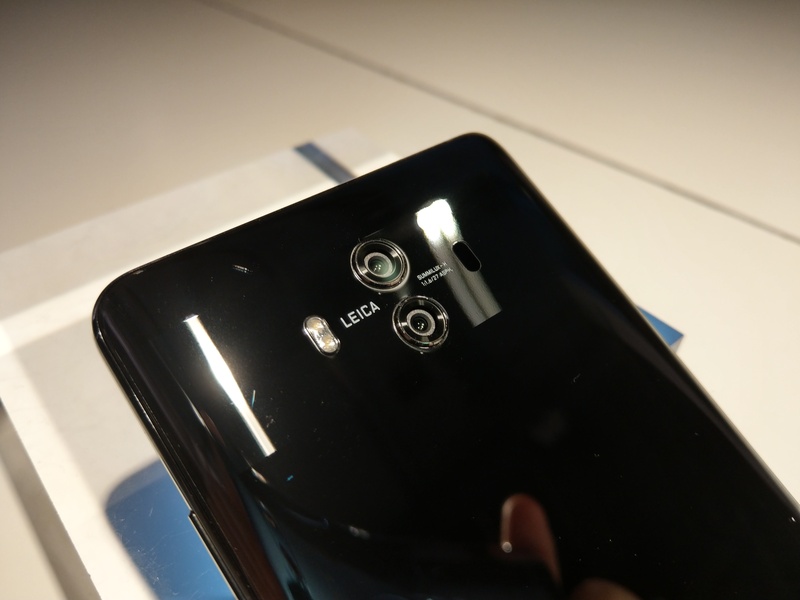 The cameras on all the devices are identical as well, with Huawei further leveraging the Leica band cooperation. The front camera is an 8MP f/2.0 unit, while the rear camera does something a little bit different this time around. The dual camera is vertical, like the Mate 10, but without the extra protective shroud around the lenses. The cameras are similar 12MP RGB and 20MP monochrome, as found on last year’s flagships, although this time they are both f/1.6 and using Leica SUMMILUX-H lenses with AI-powered bokeh. This allows for ‘2x hybrid zoom’ (which we established last year is more like a crop than a zoom), but the phones also have 4-way focus (PDAF, CAF, Laser, Depth) and have a dual LED flash. Huawei will launch these devices on Android 8, using their custom implementation called EMUI. Last generation was EMUI 5, and this generation will be called EMUI 8. The reason for the jump is two-fold: the number 8 is a highly positive number in Chinese culture, but also it addresses some comments as to why the EMUI numbering system was ‘behind’ the Android version. Huawei intends to keep EMUI’s version number paired with the Android version for the foreseeable future. ARM Mali-G72 MP12 @ ?